Happy Spring everyone! I don’t know about you, but I am super happy to feel the sunshine on my face and to put up my winter coat. Easter is right around the corner and it’s one of my favorite spring holidays. All the fun colors, treats, and of course, the meaning behind it. 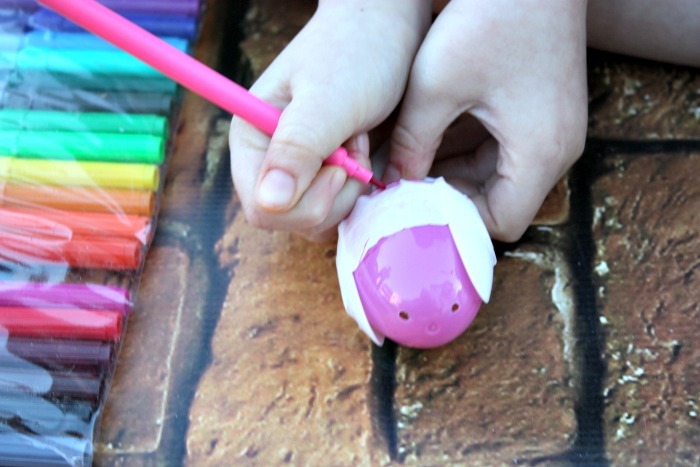 Over the weekend my daughter and I did a fun Easter Egg Craft for kids that I wanted to share with you guys. 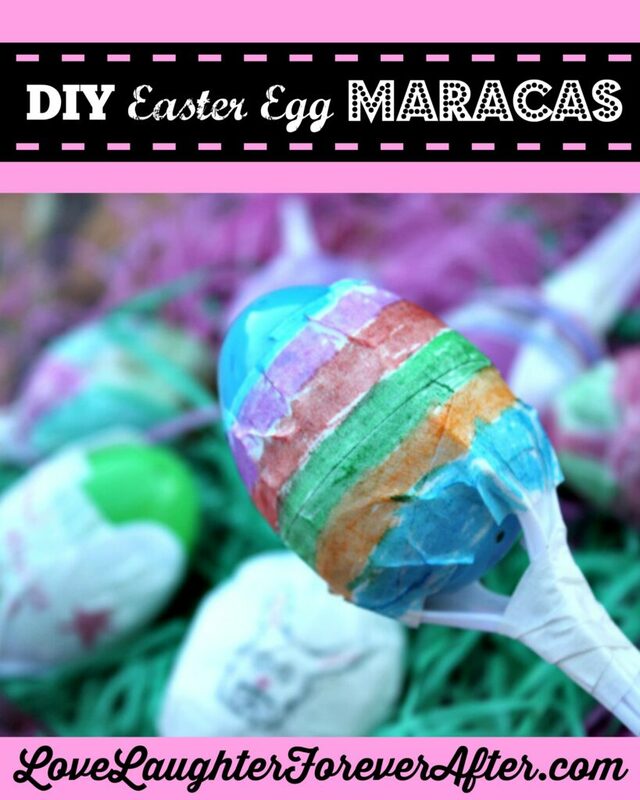 These DIY Maracas Easter Egg Craft for Kids are super easy to make and are fun to shake around during a dance break! (Which I encourage every family to take part in at least once a week!). Let’s check out how to make them! 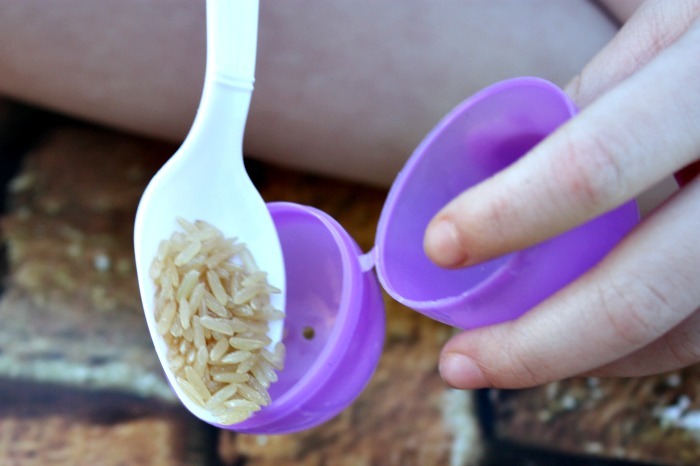 First, you will open your eggs and fill them 1/2 way with rice. 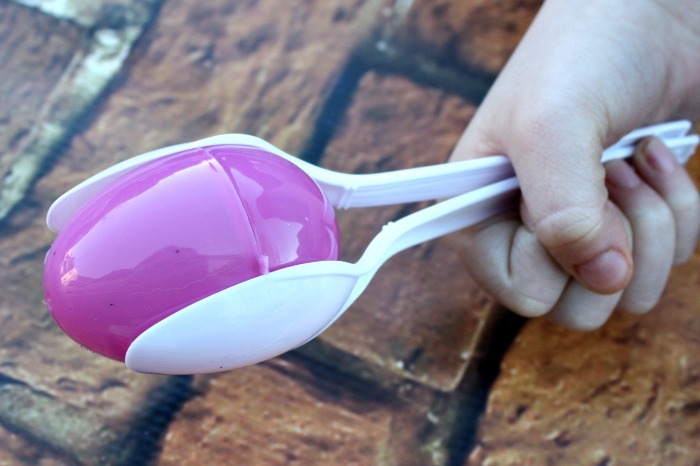 Next, You will close your eggs, grab 2 plastic spoons and put them on either side of your egg. 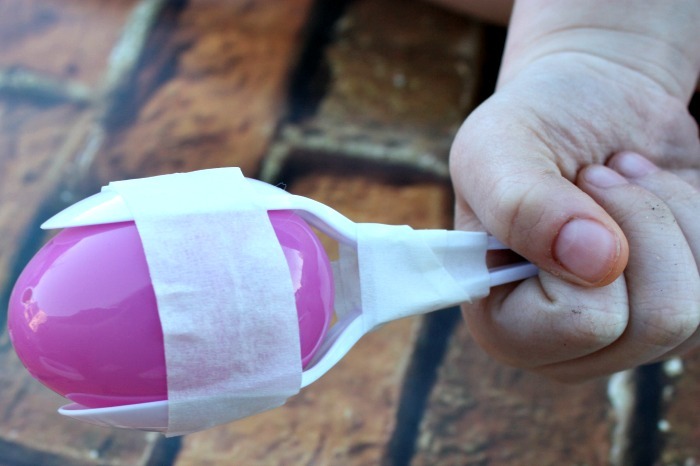 Then, using your masking tape you will tape your spoons to the egg, and then tape around the handle of the spoons. There are a couple of ways you can do this. You can tape 1 line across the eggs, or you can cover the entire egg in tape for a different pattern. How fun is that right!? 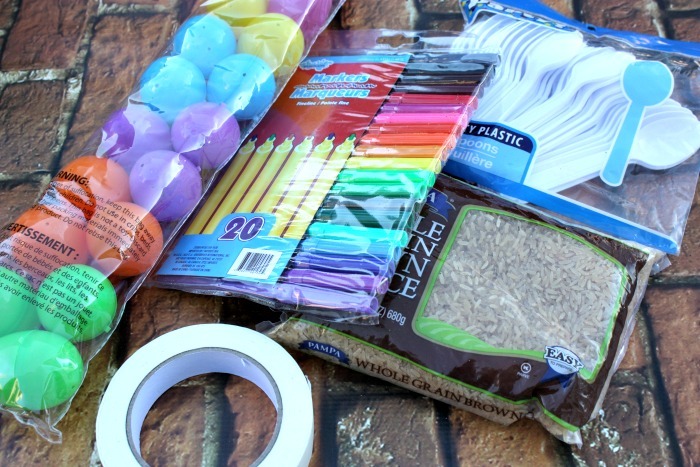 This craft is easy to do and the kids will love it. 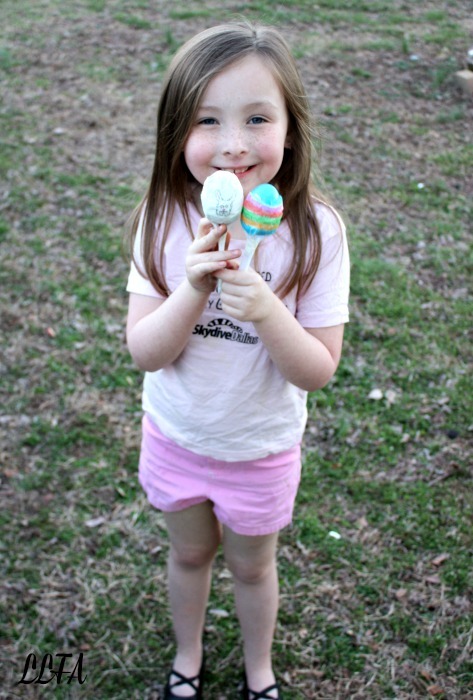 My family spent the afternoon crafting these DIY Easter Egg Maracas and shaking them around the front yard!